This is not a contest, so you don't have to compete with anyone to get a free tank of gas. You don't have to buy anything from us and there's no tricks or gimmicks. It's not even about carpooling, public transportation, biking or walking to work. This is a little known fact that gives you some control of your fuel consumption. In fact, it's completely up to you to give yourself a free tank of gas. Recent clarification from NHTSA on four TPMS scenarios suggests that mechanics and customers need to be clear on what condition the TPMS system is in before work begins. Adding TPMS to your pre-service checklist is an indispensable best practice that we at Orotek have included in our training because of scenarios like these. Another best practice is to stock our three iORO SKUs ensuring that you can service 90% of all vehicles at all times. It could keep you from having to unnecessarily retain a vehicle out of service while waiting for parts (scenario #3). Our pre-service TPMS checklist helps you comply with the latest NHTSA guidelines and prevent TPMS problems before they become a repair shop liability. 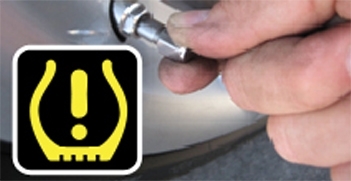 It also assists you to pinpoint potential causes of TPMS failure. 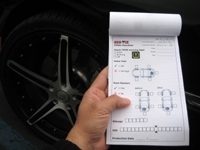 This TPMS Checklist PDF is an indispensable aid for daily on the job use in promoting TPMS sales and securing customer loyalty.